Billionaire businessman John Catsimatidis officially announced Tuesday on the steps of City Hall his run for New York City mayor. Catsimatidis says he will seek the Republican nomination. During his speech, he stressed his love of the city and the opportunities it gave him. Catsimatidis is the founder and CEO of grocery store chain Gristedes and says his business experience will help him if he makes it to Gracie Mansion. “It’s not that I’m only a business person. I came from 135th Street. I never forgot where I come from. I’m not a Mike Bloomberg billionaire,” Catsimatidis said, joking about wearing a $100 blazer bought by his wife, and not buying his daughter an “$80 million apartment”. Catsimatidis said he wants to jump-start New York’s economy by reviving the World’s Fair. His union negotiation plan involves a locked hotel room and frequent deliveries of pizzas. John Catsimatidis was flanked by his wife Margo, his son John Jr, his daughter Andrea Cox with her husband Christopher Cox, grandson of Richard M. Nixon. Two of the city’s five Republican county chairmen were present, Phil Ragusa of Queens and Dan Isaacs of Manhattan, former state Sen. Serphin Maltese and Guardian Angels founder Curtis Sliwa. Catsimatidis has recently met with former New York State Governor George Pataki, who is expected to endorse him. “I am what I am, but I want a better future for them and their children,” Catsimatidis said, pointing at the kids. “I don’t give a damn about the money. You know that. I care about making New York better,” said Catsimatidis, who, as a grocer, has promised to work for 99 cents a year — a discount on Bloomberg’s ceremonial dollar salary. He pledged to spend millions of his own money on the campaign, although he didn’t repeat an earlier pledge to devote $20 million to the cause. “Whatever you decide to spend on a campaign, you go in increments,” he explained. Other candidates on the Republican side include former Metropolitan Transportation Authority chairman Joe Lhota, newspaper publisher Tom Allon and Doe Fund founder George McDonald. 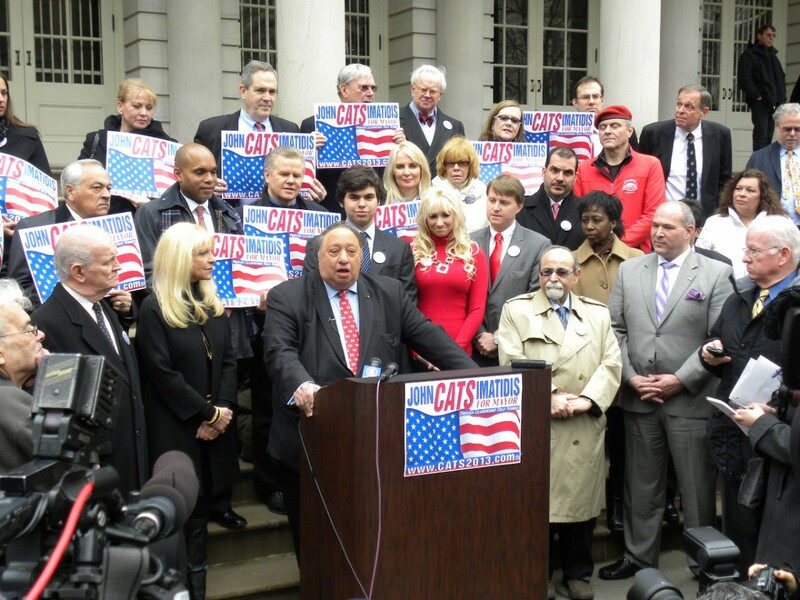 Catsimatidis has played with running for mayor before. He got out of the way when Bloomberg sought a third term in 2009. A registered Republican before 1988 he switched parties during the Mike Dukakis campaign. He kept a close personal friendship with President Bill Clinton and first lady Hillary. Catsimatidis’ are still friends with the Clintons and often the former President uses his private plane, as he did last July, for his trip to Greece. He supported Vice President Al Gore in his 2000 presidential run, but not John Kerry, because he disagreed with his policy for the oil industry. In 2007 he became a Republican and next year he supported John McCain for president. 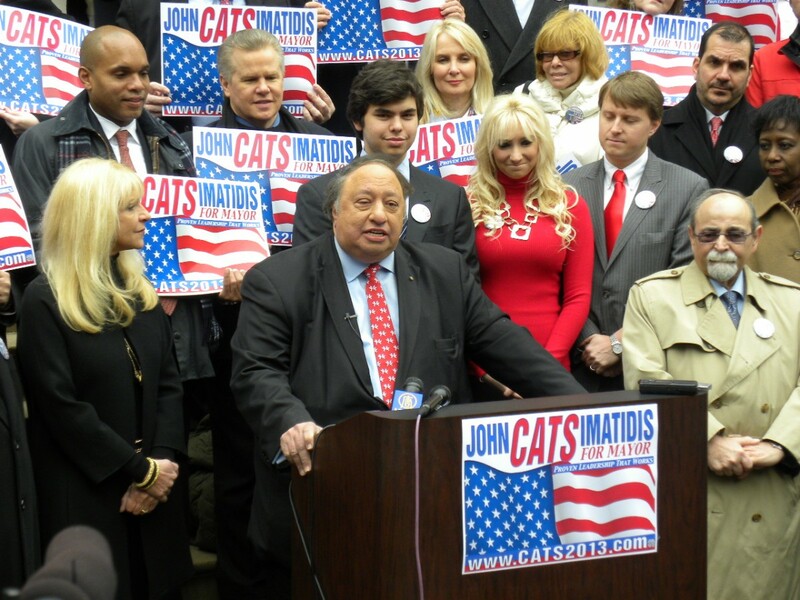 In 2012 Catsimatidis held many fundraisers for Republican Mitt Romney, but during his announcement, by mentioning Martin Martin Luther King, Jr. as an icon he deeply respects, he praised Obama’s election, as the first black president. In a Quinnipiac University survey, 15 days ago, 23% of Republican voters picked Lhota, with the runner-up, billionaire grocer John Catsimatidis, coming in at 9%. The poll found Lhota would lose a general election contest to Democrats Christine Quinn (62-17%), Bill de Blasio (57-17%) and Bill Thompson (55-19%). 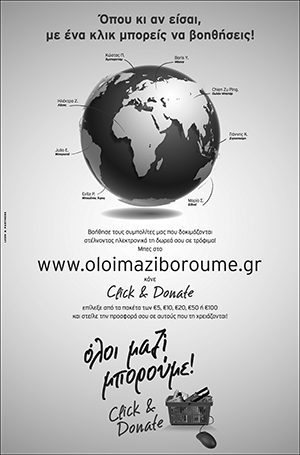 Previous article Πρόθυμο το Κατάρ να χρηματοδοτήσει ελληνικές μικρομεσαίες επιχειρήσεις – Υπογραφή τριών μνημονίων στη διάρκεια της επίσκεψης Σαμαρά στο Εμπιράτο. A great, visionary man. Self made, Greek-American, loves that unique city of NY NY and ALL of its people. BEST CHOICE FOR ITS MAYOR !!!! !